Santa Fe @ Erving, Ma. Thought I'd need my waders but didn't get my shoes too wet. 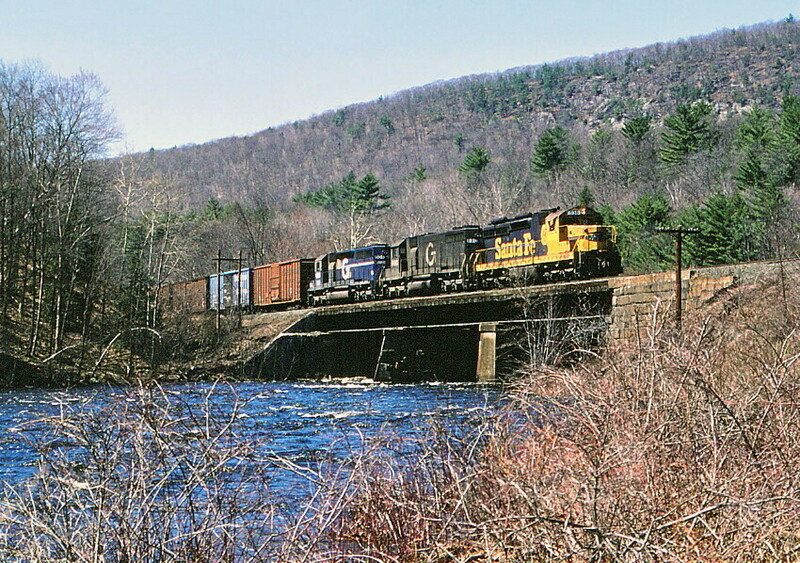 Anyway, an east bound crosses the Millers River at Erving. Photographed by Bruce Macdonald, April 11, 1987. Great photo! That's a tough place to get a well lit capture like this!